Team Phoenix Racing is a cohesive bunch of automotive enthusiast who are fuelled by the passion and driven by desire. 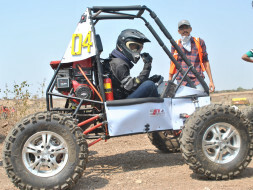 We design, manufacture and race a single seater, All Terrain Vehicle (ATV) at Endur Student India (ESI) and Mega ATV Championship (MAC) exemplifying the student spirit of taking risk and thrill to drive the path. We are like those bunch of grapes which are both sweet and sour but at the end hard to yield the best grape wine. Our team has travelled a long way showcasing our 4 years legacy. Engineering is a form of art and has filled the world with things of obvivous filled beauty but also with subtitle forms. Just being racing 4 years our hunger had not finished. We wish to present our foremost skills by making a mark at competitions we take part in. For this, we need your monetary support as that’s one of the biggest challenges that we face year on year. Team Phoenix Racing debuted in this field by participating In SAE BAJA 2015. Team Phoenix Racing successfully participated and secured All India Ranking 7th , and secured 1st rank in Maharashtra, in MAC 2016 Bhubaneswar. 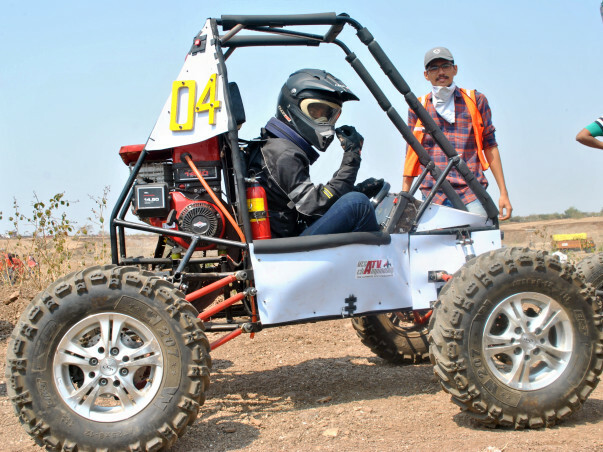 Team Phoenix Racing Participated in ESI Coimbatore which was held in January 2017. Team Phoenix Racing successfully achieved 23rd rank in endurance race in MAC 2018 which was held in Nasik March 2018. How does it all happen? It is a journey from gearbox and screws to finesse, our ATV. A lot goes in before we see it roaring on the track. A part of our clock is spent ticking in the workshop, it is like second home to us. Hours of efforts on the machinery, part designing, welding, assembly etc., form the foundation of great such vehicle. Balancing the curriculum of Dilkap College and the events we take part is the tremendous contest we encounter everyday. Finally at the end of the day we feel proud of ourselves to have accomplished such a mammoth task and also maintain consistency in performance of our vehicle. We are a group of 30 college students who spend 30 hours a week in classroom and 30 hours in the lab hand- crafting the vehicle of their dreams. Currently, we stand among the top 30 teams in the country and being the youngest team to achieve this, we are confident that we an leapfrog any other team. But as perviously stated, we have always had a financial crunch because we cannot afford to spend money beyond a certain limit. That is the main reason we intend to collect funds.